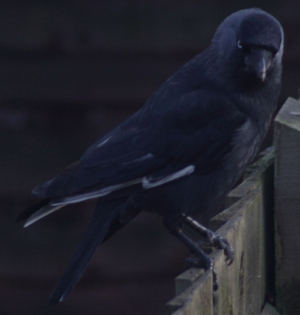 Observation - Jackdaw with white wing feathers - UK and Ireland. Description: Regular visitor to our garden, with large area of white on its wings (I haven't been able to get a photo of it in flight to show this yet). Regular visitor to our garden, with large area of white on its wings (I haven't been able to get a photo of it in flight to show this yet).